Two years ago today, I became inmate #487 in the insane asylum that is Ironman Canada. 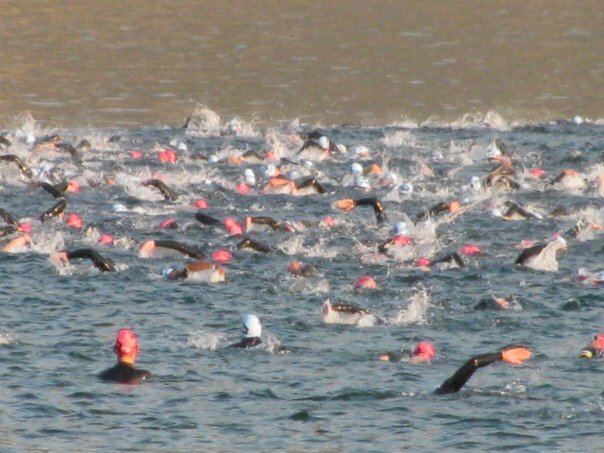 You really do have to be a little bit crazy to look at 3800m of swimming, 180km of biking and a full 42.2km marathon and think "that sounds like a good idea!". The days my kids were born and my wedding were all special days... but the day I became an Ironman was the greatest day of my life. It wasn't just the overwhelming experience of the day, but the immense sense of accomplishment of all the dedication and training it took to get there. It was especially meaningful as I had never really been an athletic type growing up, and having come from being a pretty tubby "marshmallow man" it was the exclamation point on my transformation to a healthy guy. I am keeping my eyes on the prize, and that is to stay fit and healthy. That was the goal when I started the journey, and it will be the goal until I die (hopefully of old age!). I actually weigh less than I did when I did Ironman, my running times are quite a bit improved, and I feel like I'm a better all-around athlete (and I feel I can actually call myself an athlete!). Will I do Ironman again? Yes, someday. But I want to do it right, with a real performance goal, not just "to finish". That means even more training than the first time, and with young kids I just can't do it right now. So I'm concentrating on all the other things I enjoy - mountain biking, cyclocross, adventure racing, marathons... that takes up plenty of time as it is! 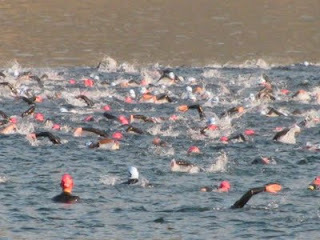 I'll be up in Penticton next week volunteering at the Ironman for a second year. I'm leaning toward signing up on the Monday after the race -- well, I'm 95% sure that I will. There will always be some nagging doubts about whether I can do it, especially the notion of completing the high volume of training without sustaining some sort of over-use injury. Anyway, just wanted to say that your blog has been an inspiration. Thanks!